Home / Business / Is Targeting Locals Beneficial When You Lend For a Living? Is Targeting Locals Beneficial When You Lend For a Living? Tradition dictates that a business is run by a seller providing a certain product to a customer. As the years have passed, these beliefs started changing according to consumer need. New businesses have started dominating the market and the service sector has grown massively. 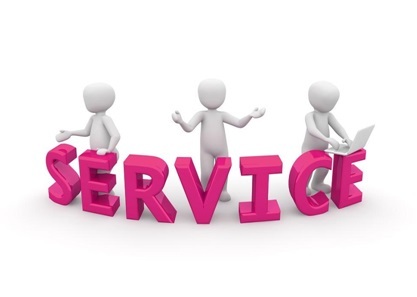 The emergence and growth of service-based businesses dramatically changed the market. It has brought a great deal of professionalism, dedication and consistency along with it. Also, more and more unique services are getting marketed now. Initially, the service business was limited to certain banks, hospitals, restaurants and cinemas. As this sector started to evolve, services used to the background started sharing the limelight – such as carpentry, house furnishing, wedding planning, insurance, plumbing and many more. As the market grew in diversity and competition intensified, existing business owners started feeling insecure about their ventures. This forced them to change with the evolving market to avoid letting any opportunity pass them by, which in turn cost them a lot of money. But in order to market yourself within a niche, and in the best possible way, you need to spend a few extra bucks to get fruitful results. If an entrepreneur needs more money to fund their business, they would resort to external sources of income. This can include commercial banks or alternative finance platforms that provide peer-to-peer lending. Commercial banks often charge a considerably high rate of interest and the procedure is usually more complicated. Therefore, entrepreneurs have become more inclined towards private lenders when it comes to seeking finance their ventures. As service-based businesses are already thriving in the market, it is always a fruitful option to become a private business lender. Private lending is not dissimilar to property investment when it comes to returns. If you have money that is currently of no use to you, you can lend it to an individual or a business to fund their needs. The interest you charge on the funds would be your income. This is very similar to the process of depositing your money in a bank. You give away a certain sum of money and earn interest on the sum over a period of time. Is Catering To Locals Advisable For A Private Lender? The business of private lending is never as simple as it sounds. There is always an uncertainty factor with the lender as well as the borrower. One of the many points to keep in mind when it comes to the matter of lending finance to the public is the fact that you should not go beyond your local customers, at least for the initial few months. It takes a considerable amount of money to finance an individual, no matter what the scale or purpose is. This implies that you need to have all the relevant information and details regarding the borrower. Now, if the person is locally situated, you can trust them more compared to people living in another city or town. This is because such a business requires a certain degree of proximity when it comes to the geographical regions you cater to. No matter how big your reach is, you should ideally target borrowers living in the same city or locality. No matter how confident and positive you are about your borrowers, you can never be sure about certain intentions. If there is an unfavourable situation, it would never be feasible for a financer to travel across cities and states to catch hold of a wayward borrower. This aspect is resolved if you have a local borrower, well within your financial (and geographical!) limits. It is said that majority of your borrowers should be within 100 miles from your main office. This is an important reason why the majority of the lenders who finance on a private basis operate on a local level, as they know the borrower fairly well, and they have ways of recovering their investments if the borrowers default on their payments. Also, if you are funding to your locals, you would have a clear and more specific idea about the needs and desires of the borrowers that are likely to come to you for their funding. If you have lived in a city for a long period of time, it is obvious that you will be well-versed with the mannerisms, habits and behaviours of the people living in the same region. However, no matter how close the business is to the provider, the primary need of the lender would be that of stepping into the investment business and making decent money from the interest charged. Most likely, you will have healthy relationships with your borrowers as they belong to the same region as yours, but never let that hamper your ethics and your business ventures. Make sure that you keep your personal and professional ties separate, which will only help you in sustaining your business for a longer period of time. Catering to local borrowers also reduces the risk of misunderstandings and delay in payments. If the borrowers are situated far away from the lenders’ geographical location, the communication gap could create issues for you and your borrowers. So, if you have some extra funds that you would want to invest by becoming a private lender, go right ahead, always keeping in mind to begin with your locals.